Whether furry friends or slithering snakes, we’d do almost anything for our pets. But as work days get longer, living spaces get smaller and our understanding of what makes our animals tick becomes more nuanced, the way we care for our pets is evolving. But, do you really need smart pet tech? Just as smart technology is increasingly making our home lives better, so too can it boost the quality of life for our animal buddies. And, just like with human-focussed tech, whether your pooch will benefit from a gadget or not will likely come down to its individual needs – and your own lifestyle. An Amazon Echo isn’t for all human ears, and a fitness tracker for Fido might not be appropriate if he’s racking up the dog years. But, a camera so you can keep an eye on him while you’re at work? Or a water dispenser that keeps his dish topped up with fresh H20? Now you’re barking up the right tree. TechRadar's Gerald Lynch picks the top smart pet tech buys to get your pet prepped for the future. Looking for smart home advice and recommendations? Check out our technology hub page. If it’s good enough for pro tennis players, then an automatic ball launcher is good enough for your pup too. 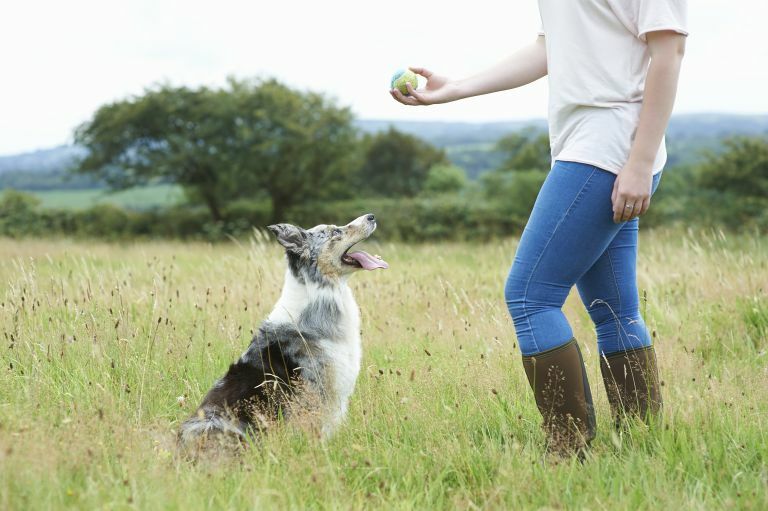 The iFetch ball launcher can chuck out balls at distances of 10, 20 and 30 feet, giving your pooch a runaround without you needing to lift a finger. And, being mains operated, it’s as well equipped for indoor as outdoor play. Browse more automatic ball launchers on Amazon. Whether you’ve a housecat or a scaredy cat that just can’t face the great outdoors, a litter tray is a must-have for keeping your kitty’s potty business tidily kept where it should be. But, whichever corner of the house you hide it in, it’s going to leave a bit of an odour, and emptying the thing is the least enjoyable chore of them all. This PetSafe box takes all the hassle out of it – filled with reusable, liquid-absorbing anti-odour crystals, a motorised rake sweeps all the waste into a hidden compartment, ready to be lifted out without you needing to get your hands dirty. Shop more self cleaning litter boxes on Amazon. Can’t bear to be away from your puppy? Does she get lonely when you’re in the office? There’s no need to be parted at any time thanks to the Furbo Dog Camera treat feeder. It’s equipped with a 1080p Full HD camera and two way chat function so that you can keep a reassuring eye on your pooch when you’re out and, if it deserves a little something for good behaviour, can fire out a treat for your dog to scoff down. Wondering what other pet cameras are on the market? Make sure to check out our pick of the bets pet cameras. Alternatively, browse more pet cams on Amazon. Just like last night’s water on the bedside table doesn’t go down quite as well for us the morning after, so too do our pets prefer a fresh tipple when they go to have a drink. The Drinkwell Platinum Fountain holds up to five litres of water, and is equipped with a charcoal filter that keeps your pet’s drinking water oxygenated and fresh, with a free-flowing trickle delicately bringing the soothing sound of a stream to whichever room it’s placed in. Want a pet feeder, too? Check out the best automatic pet feeders. You'll find plenty more automatic pet water fountains at Argos, too. Think of the Aquapaw as a bit like an exfoliator for your pup. Compatible with both a bath and shower tub or an outdoor hose, it lets you give your dog a good old scrub while controlling the flow of water with a palm-press button. Combining brush and water flow in one handy (and handheld) component, it’ll make bath time for your pooch easy peasy. Take a look at Amazon's complete range of pet washers. Ever wondered what your cat gets up to once it’s sneaked out of the catflap and is out on the prowl? Wonder no more – the Eyenimal Petcam will give you a cat’s-eye view of all the feline frolics that your adventuring aristocat encounters on its excursions. Worn around a collar (so make sure it’s attached safely), you’ll get about five half-hour clips for a total of two hours and 30 mins of cat-directed viewing. While it doesn’t offer a live view of your pet’s playtime, it’s simple to upload your footage to a PC and memory card for watching on your telly. What if kitty has wandered off? Find them in no time with our pick of the best pet GPS trackers. Browse more collar pet cams on Amazon, too. Live somewhere where a flesh-and-blood pooch isn’t allowed, but still have enough cash to afford a Crufts-worthy pure breed? Take the future for a walk with the Aibo, the revamped robot dog from Sony. It may be expensive, but it’s about as advanced as a robot pet has ever been. Cloud connected, with the ability to learn a hundred faces and an almost endless array of tricks, Aibo grows over time thanks to a database of memories. Responding charmingly to touch and understanding voice commands, it’s all the fun of a mutt, with none of the mess, moulting fur or vets’ bills.